Trustworthy & Reliable–Just Like Your Volvo! WCS Automotive in Rockland, MA is your dealership alternative for Volvo auto repair and maintenance. Volvo drivers come to us because they can trust our expertise, they receive exceptional customer service. At WCS Automotive, you’re not just another number. You and your Volvo will feel right at home in our shop. We have been providing top quality Volvo auto repair in Rockland for over 25 years. Customers know we offer the knowledge and efficiency of a dealership. We stay abreast of all Volvo technologies to make sure you’re always getting the best Volvo service possible. Our technicians give you the personalized attention and commitment to excellence that you expect from an independent shop. WCS Automotive goes above and beyond to meet and exceed all of your expectations. You can depend on us to keep your Volvo on the road and completely reliable. Our ASE certified technicians use original manufacturer parts and factory grade diagnostic tools. We’ll accurately identify your vehicle’s specific needs and ensure that all repairs are done right the first time. So whether your Volvo needs simple maintenance services, or the most complex Volvo reprogramming, our team of service experts will get you back on the road quickly and safely. Trust the team that’s been keeping Volvos in the fast lane for decades. Finding a technician that specializes in your vehicle is priceless. Not only do we protect Volvos, we also protect your wallet. We keep our Volvo services affordable, and our service expertise on a higher level than our competition. You’ll never get a misdiagnosis or unnecessary repair service at WCS Automotive. Anytime you come to us with a Volvo question, concern, or service need, we’ll send you away with an enhanced vehicle. Schedule Your Volvo Services Today! At WCS Automotive, you can trust that your Volvo is in the best hands possible. We’re Rockland’s preferred alternative to the expensive dealerships. Our team won’t sacrifice quality Volvo service for speed. 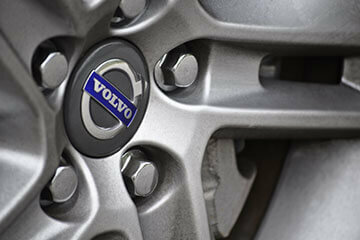 We maintain a very active repair shop with a majority of Volvo-specific services. We’re Volvo enthusiasts just like you so we take pride in getting your Volvo back to its original condition. Give us a call today (781) 871-1337, or schedule an appointment online, and let us show you why we’re Volvo owner’s #1 shop for Rockland auto repair! You can use our online scheduling system right now! Save yourself some time by penciling your Volvo in for a day and time that works best for you. We gladly accept all of our walk-ins, so next time you’re in the area stop on by!